you can later be the source of your downfall. This is what is playing out in Osun state ahead of the Thursday poll. Hours after meeting a delegation led by APC national chairman Adams Oshiomole, SDP's Iyiola Omisore has agreed to form an alliance with the APC for the Osun supplementary election. 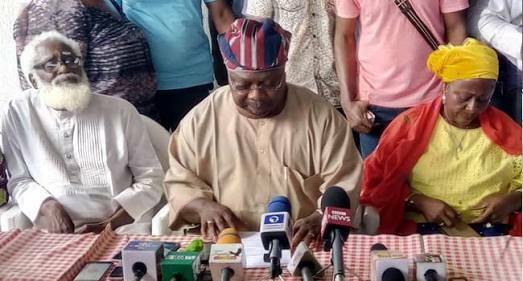 Omisore told journalists in Ile Ife on Wednesday that he decided to support the APC after the party accepted the conditions he gave earlier for his support. The SDP candidate had said he would only support any party (between PDP and APC) that agrees to uphold SDP’s core values. The conditions include a pledge to ensure motivation of workers in the state, payment of salary arrears in the first three months in office, equity in infrastructure provision across the state, the adoption of a local content policy for all projects in the state. He also wants traditional rulers to be made more relevant. According to the SDP candidate, only the APC has accepted his conditions and that is why the SDP is going to form an alliance with the APC.